Teacher is a role model for the students. The teacher is the one who molds a child into what he will be on the future. Today, we come up with the list of best teachers WordPress theme designs comes with impressively professional looks. These themes designed for school, university, college or education business website. With these theme you can built easy to create a professional and attractive websites. You can change almost every elements of color easily via admin panel. These WordPress themes are very modern and attractive designs making it an excellent choice. Let’s go through the theme gallery! eLearning WP is one of the best impressively dynamic, outstandingly powerful, adaptable and creative LMS WordPress theme design. The layout of this form is customized to match the design of LMS WordPress theme. Highly Performance Optimized, your site will be loaded before your customers go away. eLearning WP faster and easier. Size, color, drop shadow, and anything can be done with the power of CSS. Theme is retina ready, will look great in any technique devices. iKnow is a very attractive, visually stunning, cleverly coded and wonderfully customizable WordPress theme. Theme comes with complete learning management system for selling online courses. This fully responsive WordPress theme comes with powerful user admin panel. You can add and manage unlimited sidebars. You can manage your site background from background manager, you can change theme background also very easily. 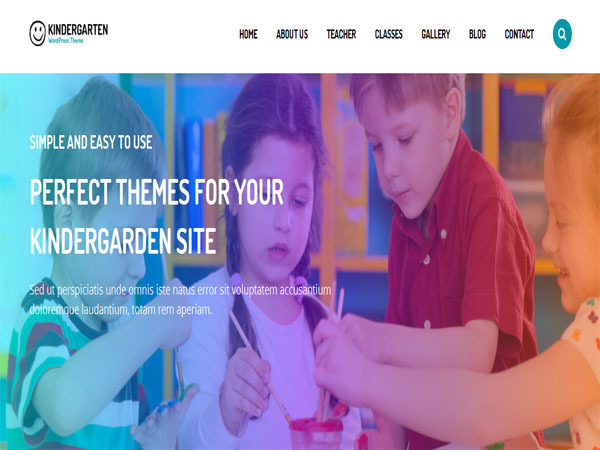 Kindergarten has beautiful designed, responsive, elegant, clear, and easy to read WordPress theme. With extensive options panel you can easily change up the look of Kindergarten with a few click with Live Customizer. This theme give you a full control of typography setting for every single element. This theme is very flexible and easy to use especially as a first buyer. Guru is a amazingly modern, expressive, creatively bold, incredibly flexible and impressively professional WordPress theme. Its a learning management system that makes learning and teaching online easier for everyone. This theme loaded with WPML compatibility, you can create your site in multipe languages. You can make your menu more advanced and meaningful with the mega menu option that supports image banner. 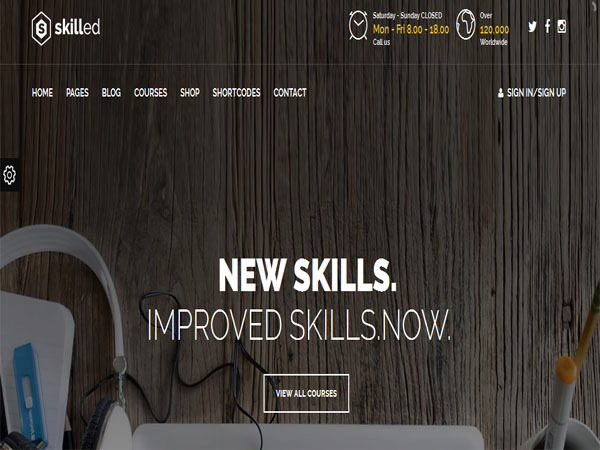 Skilled is a highly customizable, visually engaging, uniquely dynamic, simple and impressive WordPress theme. This theme is suitable for school and private individuals sharing their knowledge. You can create your online training website with satisfaction and teach to students around the world. 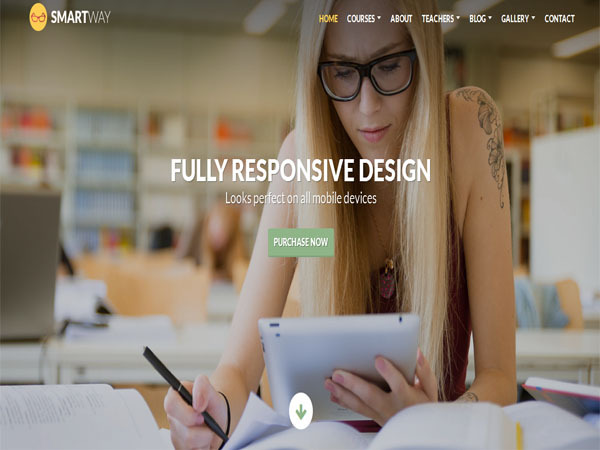 Smartway is a graphically smooth, exceedingly modern, incredibly sleek, visually stunning and fresh faced WordPress theme. This theme 100% fully responsive and look great on any device like iphone, ipad, PC desktop, laptop and other smartphones. This theme has full screen background slider and parallax backgrounds. You can create free & premium courses also. Statfort is a adaptable and creative, impressively full-featured, cleverly designed and powerfully flexible WordPress theme. This theme is easy to modify and Ready to be up and running out of the box. 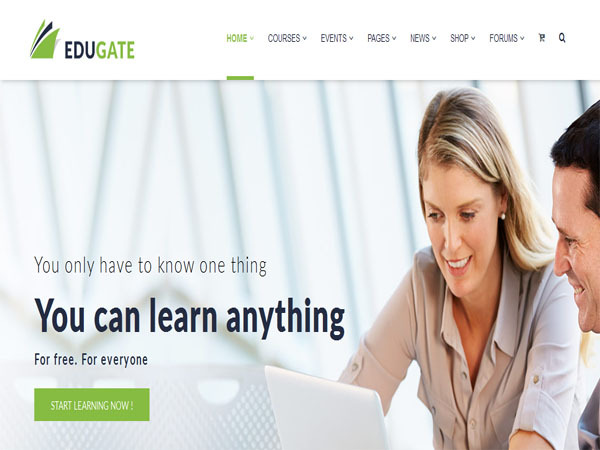 EduGate is a creatively designed, highly attractive, outstandingly powerful and skillfully designed WordPress theme used for a school, library, training center or even a private instructors. With this theme you can manage multiple contact forms by contact form 7 plugin. Edugate has many options with drag & drop display. You can choose a color from popup with one click or paste your code into field.